Amble Over House, entire 3 bedroom, bathroom house for holiday rental. 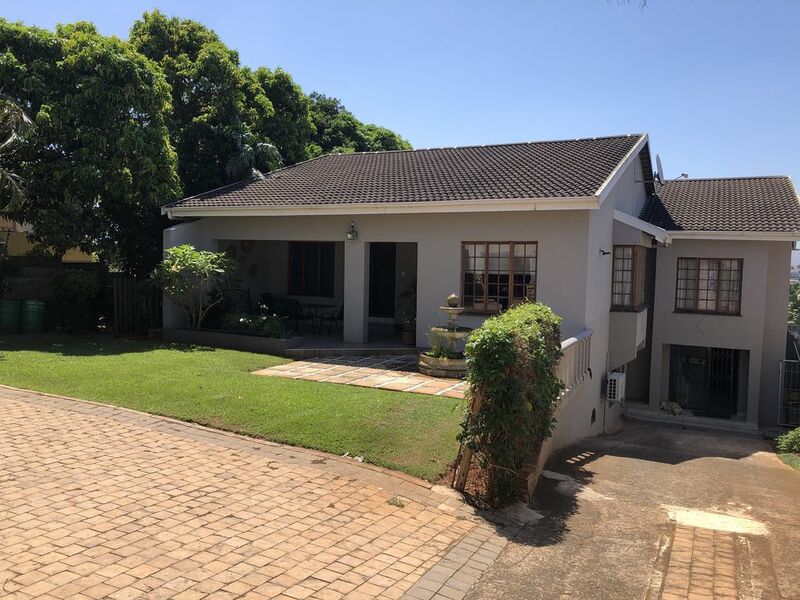 While Amble Over House is situated in a quite residential suburb, it is centrally situated, close to over 25 local restaurants, shopping malls, central Durban is 8 km drive in the South and Umhlanga a mere 8 km in the North. King Shaka Airport is 20 km away. The beach is 3 km down the hill with the world class Umhlanga swimming beach 8 km away. The house has a fully equipped kitchen, with stove, microwave, dishwasher, washing machine, large fridge/freezer, ice machine, iron and ironing board, crockery and cutlery for 6 people. The main bedroom has air conditioning, and the other two bedrooms have fans. There is a full bathroom on-suite off the main bedroom and a separate family bathroom. In the front of the house there is a covered veranda and a large covered deck at the back with a valley view, both are great for entertaining. The dining room off the kitchen has a 8 seater dining table and chairs. The lounge is comfortably furnished with a flat screen tv. There is safe off road parking for 2 vehicles, behind access control gates. The property has electric fencing for extra security. A sleeper couch and bedding can be organised for an additional 2 people at a charge of R150 per person extra, and a sleeper cot (no extra charge)for infants. Linen is changed weekly and towels every 3 days.